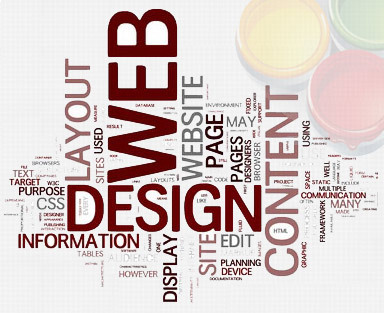 Web designing is not just art, neither it is just technology, it is but both − a commixture of art and technology with earnest amount of marketing and thorough insight for industry, its requirements, target market, audiences and what triggers their sentiments or adrenaline flow when they land up on your site and have a look at the designing that envelopes it. Our creative team of web designers build highly optimised web sites and apps with marketing in mind, technology at hand, and creativity and knack for art in heart. Before our designers actually sketch down the ideas or transform them into a technically smart and aesthetically beautiful app or web design, they first understand what your requirements and demands are and only after a thorough research to estimate what fits well with your demands as well as your business and market needs, do they proceed toward the real work. From the beginning to the end the process remains collaborative and entirely transparent. So, right from the conceptualisation to deciding the colour palettes, typefaces and even the style and presentation of the images, your consent is crucial to us. The entire look and feel of the site or app is to giving proper branding to your product or the services, thus our creativity remains essentially rational and result oriented. Our designs meet with all the industry standards and are built with latest technology in mind. With years of experience and thorough industry knowledge our expert team offers you both unique and latest design and customised designing solutions well tailored according to your needs utilising the latest and greatest designing tools. Adaptative Info Solutions, a leading web design company, understands how essential it is to maintain quality and keep its services in terms with quality metrics and standards. Thus, we never launch our design until we are satisfactorily convinced with its overall quality, calibre, and excellence. We know how people hate bugs and how very annoying they are, thus we deliver or launch our web application designing services only after a series of tests and bug removal. You can look to us for most creative web designing solutions available at most reasonable prices delivered on time and completely free from glitches.